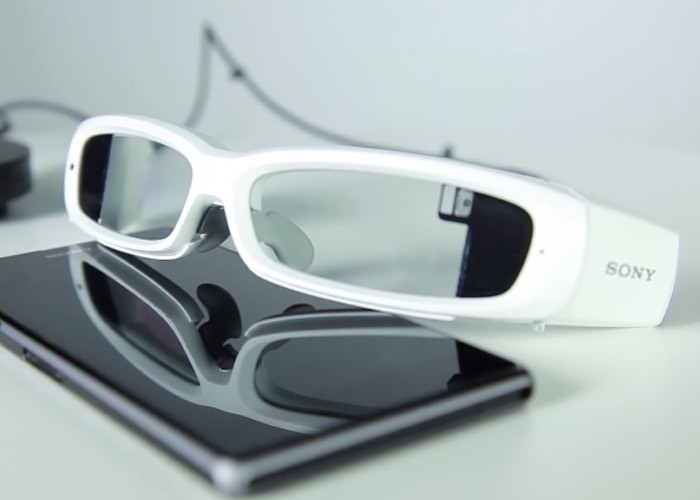 Last year Sony unveiled their new Sony SmartEyeglass eyewear that the company has designed to provide a display in front of the wearers eyes that can be used to display extra information such as notifications, directions, augmented reality and more. The Sony SmartEyeglass eyewear is equipped with binocular see-trough displays, together with an embedded camera, accelerometer, gyroscope, compass and brightness sensors. Watch the video below to learn more about the new prototype that has just been spotted at the FCC. Indicating that the eyewear may be making its way to retail stores throughout the US in the coming months. For more information on the new Sony SmartEyeglass eyewear jump over to the official Sony SmartEyeglass website for details via the link below.